Shia Labeouf is at it again. After many “performances”, Shia Labeouf has launched his new project, called Touch My Soul, in the UK. He is set up in an art gallery in Manchester, taking calls from the public. If you do manage to get through, however, you have a 1 in 3 chance of actually speaking to the actor, as he has two other people taking calls with him. After getting hold of this number, here at Ink n Toner UK, we thought we would give it a shot. Not only did it take about 20 minutes for the line to actually put us through, but after ringing and ringing and ringing again and again, the line finally connected and we heard that oh so familiar voice at the other end. “Touch my soul,” Labeouf speaks sounding like he was crying. “How does one touch ones soul,” I reply. After about 30 seconds of back and forth and me trying to ask him how I could touch his soul and him begging me to touch it, he finally spoke “thank you for touching my soul.” “You’re welcome,” I told him. Like most of Labeouf’s projects, I didn’t, and still don’t, understand the purpose of this. Want to give it it try? Call this number and see what happens: 0151 808 0771. You have from 11am today until 6pm, so why not give it a shot. Want to try your luck? Well if you don’t manage to get through, here at Ink n Toner UK, we’ve come up with a good alternative. We’ve created a Shia Labeouf poster that you can print out, so you can remember this special project with us. Need ink or toner cartridges to print out your Shia Labeouf poster? 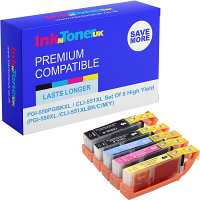 Well here at Ink n Toner UK, we are dedicated to providing you the ink or toner products you need, for the most affordable price. Click here for ink cartridges, and here for toner cartridges. Click the image below to print out your free Shia Labeouf poster!